A few weeks ago, Google rolled out a new SERP feature that highlights a “suggested clip” within an embedded video. 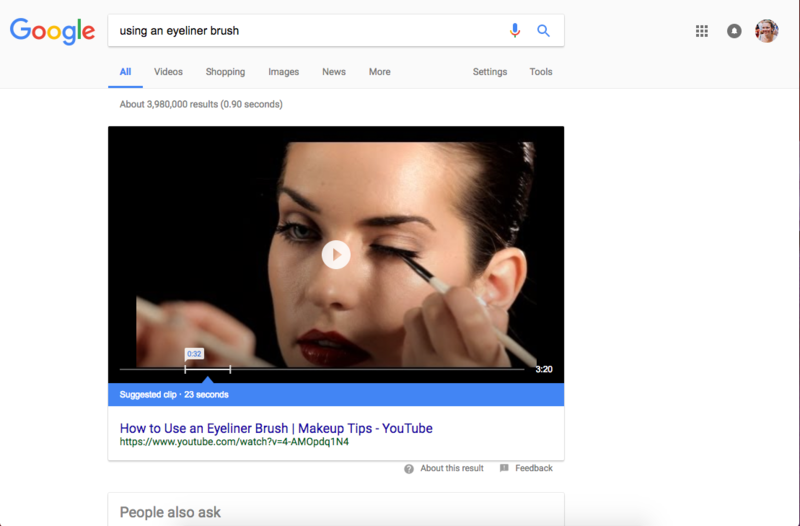 As visible below, the video itself dominates the SERP, automatically highlighting the section of the video that Google has determined best answers your search query. With little data available about this feature and SERPs appearing to change on an almost daily basis, it remains unclear what queries this feature is appearing for and how videos and clips are selected. However, given its emphasis on video and how-to content, the new feature should certainly be top of mind for marketers and brands. What queries do Suggested Clips appear for? We first noticed this new feature for the query “building deck railings” on April 24th. At the time this article was published, the same video appeared, though the query now also triggers a “people also ask” box immediately below the video, and at one point triggered an answer box. 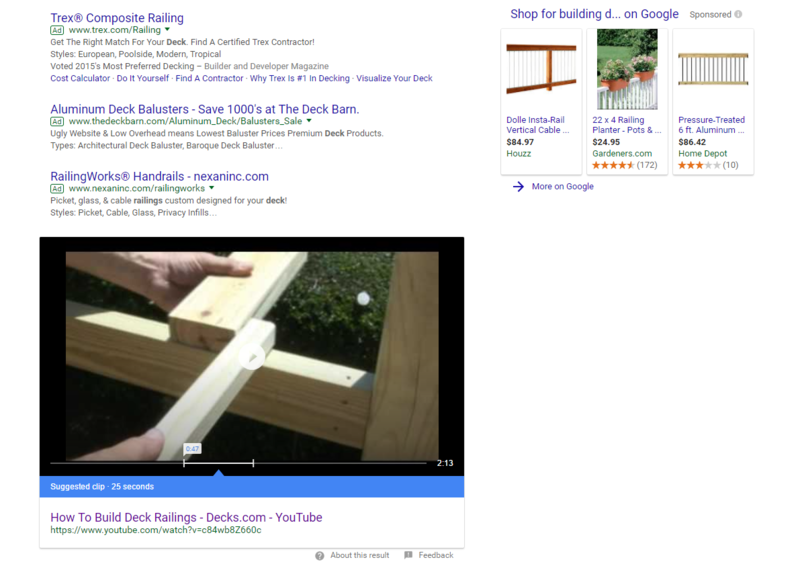 We also found a similar query “how to install deck railings”, which yielded a different video and clip. However, just a few days after our initial search, we noticed that the suggested clip no longer appeared for that query. Others have noticed the same feature appear for the query “blur out text in imovie”. 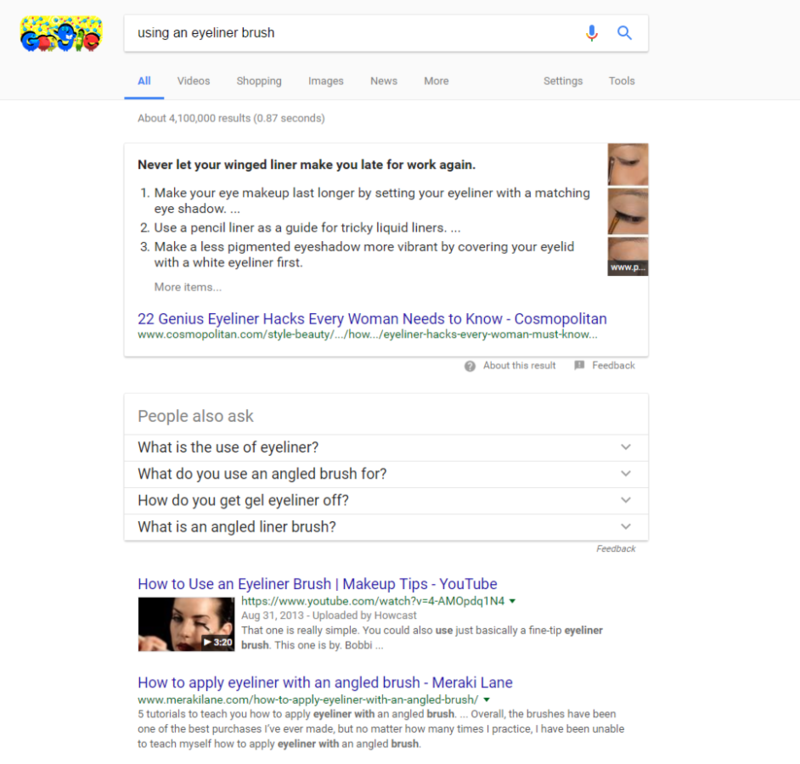 After doing some extensive digging, the only other query I could find that resulted in a suggested clip was “using an eyeliner brush” on May 8th. However, as of May 9th, this result was replaced with a featured snippet and a “people always ask” box in the first and second positions, respectively. As of now, tools like Stat and SEMrush don’t allow you to filter keywords for this SERP feature making it difficult to assess what pages this feature is appearing for as a whole. Though we’ve only been able to dig up a few examples of this SERP feature so far, it’s clear that this feature is targeted towards “How-To” type queries. How are videos and clips being suggested? Though our sample size is extremely limited, we’ve identified a few common threads between the videos that have appeared as suggested clips. Clear speech in suggested videos for easier transcription. First, both the deck and eyeliner videos featured speech or voiceovers that was very clear, had excellent diction, and the speaker carefully enunciated their words. Because of this, Google probably trusts their transcription to be reliable. Full transcription in YouTube description. The eyeliner video answer also included a full transcription in the YouTube description. However, the deck video we first found did not have a transcription included, which may indicate there are other factors at play besides having a transcription. Length of video. One thing that remains unclear is how Google is determining the specific timing and length of the suggested clip within the video. As far as we can tell, there is little to no correlation between the keywords used in the video and the clips’ starting and stopping points. Why did Google introduce Suggested Clips? Whether you’re looking for a quick Excel tutorial or instructions to turn off a screeching smoke detector at 2 a.m. (this may or may not have been me two nights ago), the worst part of any how-to video is sitting through a video’s introduction before actually getting to the solution you’re looking for. If Google can reliably determine which part of a video will best answer a user’s query, the Suggested Clip feature will markedly improve the user experience of using video answers. This new feature also has clear implications for voice search and for devices like Google Home when users are clearly seeking hands-free instructions or answers. However, after some at-home testing, Google Home does not yet seem to be picking up on these suggested clips just yet. 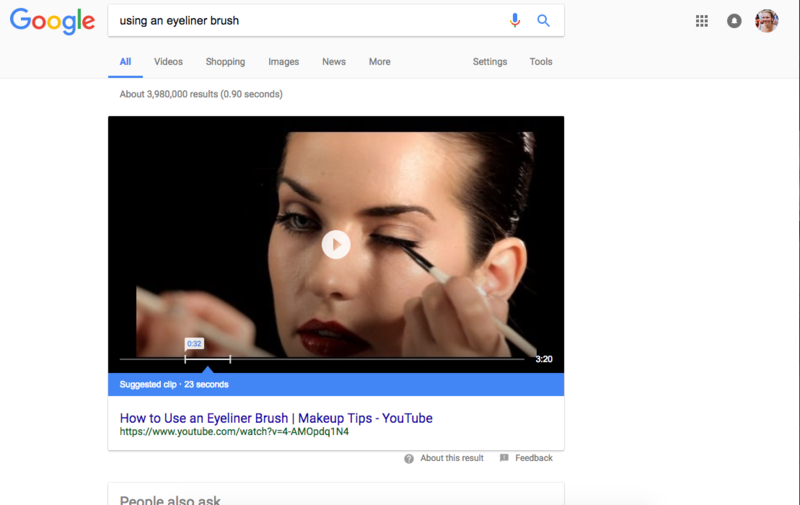 Though the staying power and full implications of this suggested clips feature remains to be seen, it certainly highlights the growing importance of how-to and video content for in-SERP results. Let us know if you find other SERPs with suggested clips!